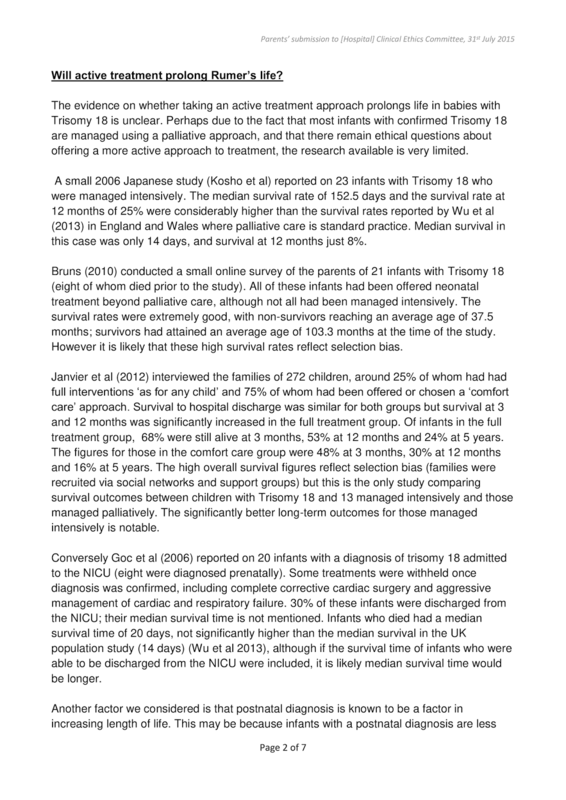 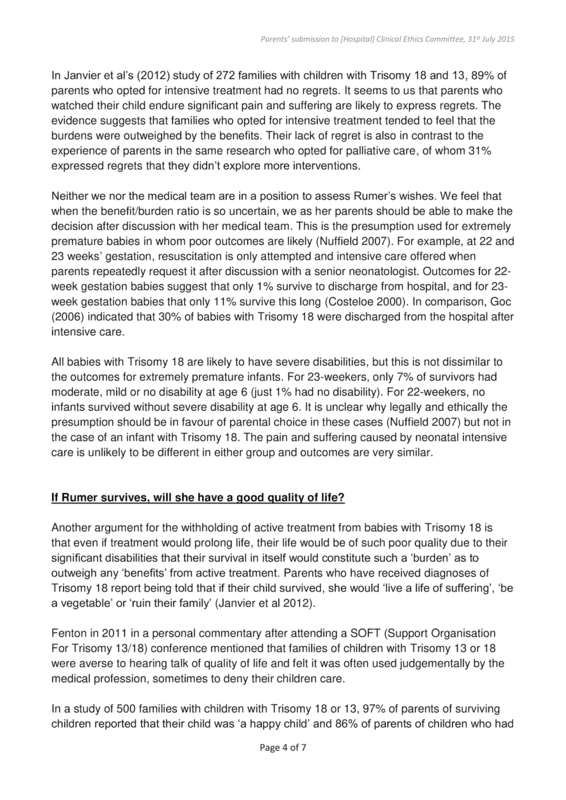 In June 2016, we were invited to take part in a neonatal ethics conference. 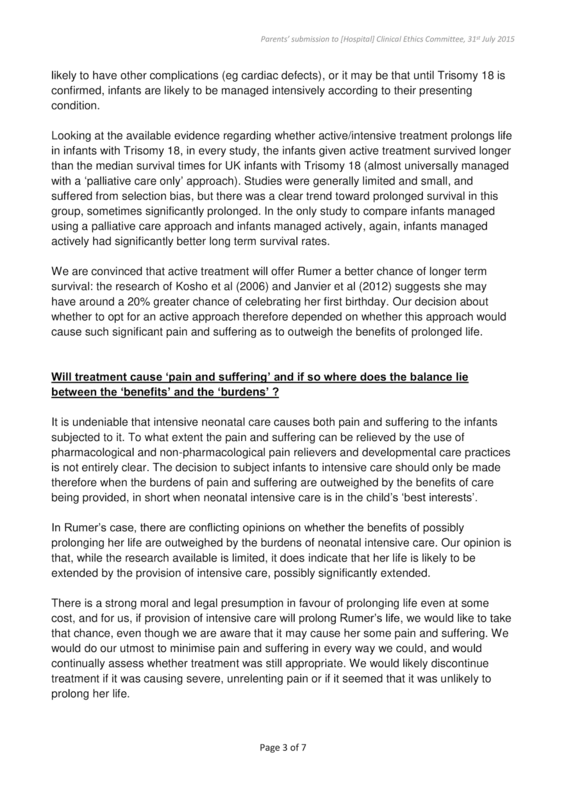 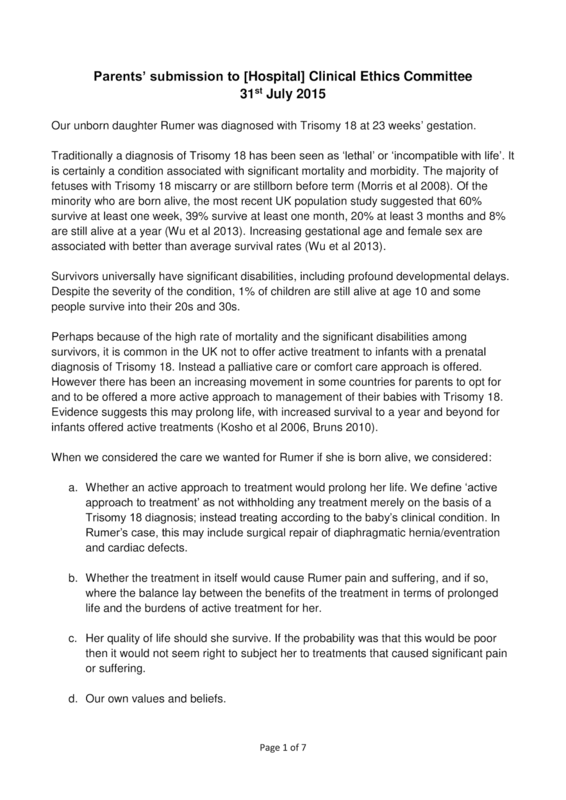 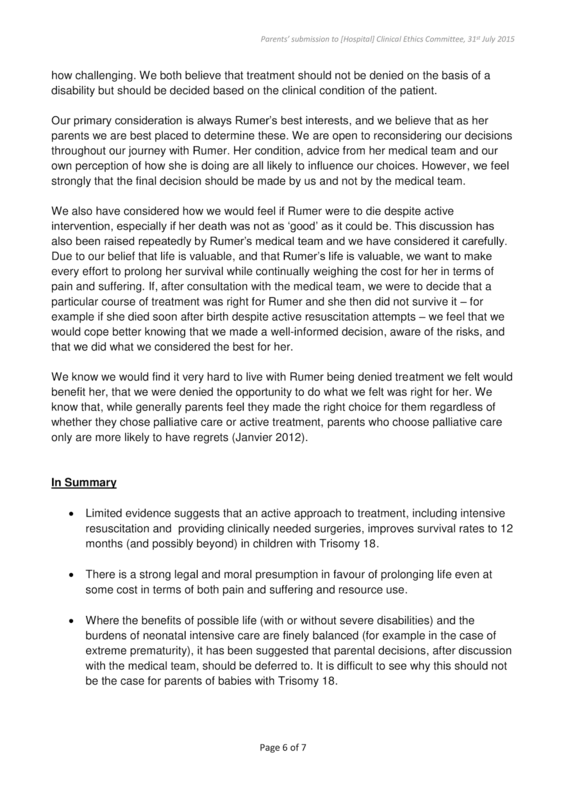 We talked about Rumer and about some of the difficulties we faced, focussing on the antenatal interactions with neonatology. 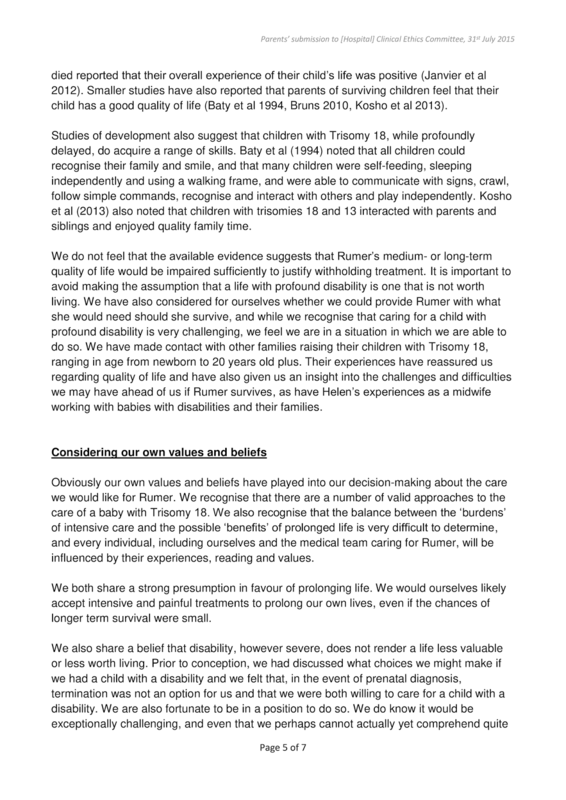 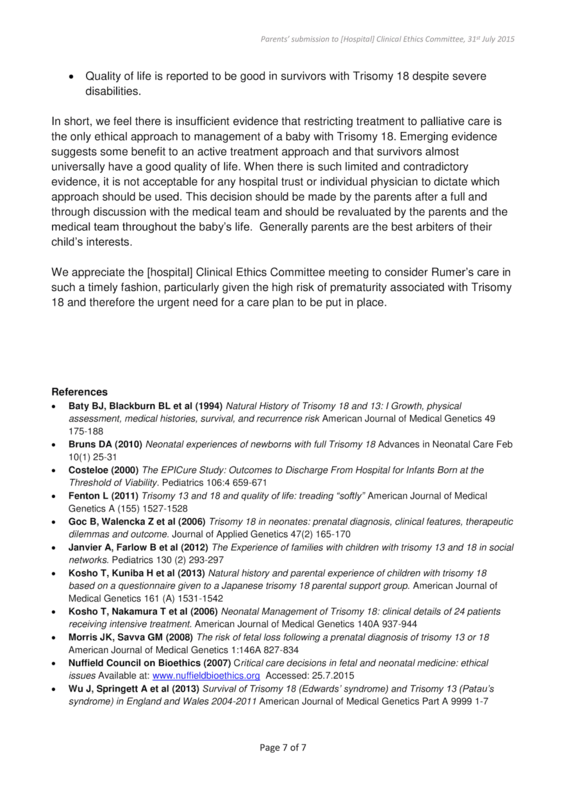 We gave summaries of the experiences of other families affected by trisomy 18 and drew out some suggestions for doctors and other health professionals about working with families, particularly where the doctors and parents disagree about the best way forward.